Tractor-trailers carry millions of tons of products through western Kentucky and middle Tennessee every day. While most truck drivers and freight companies obey the rules, many do not. Over-the-road haulers on roads such as Interstate 24 often engage in practices that put other drivers at serious risk. When an 18-wheeler gets into an accident with a passenger car, the results for the smaller vehicle are often catastrophic. The Lucius Hawes Law Firm is experienced in handling truck accident cases involving personal injury and wrongful death litigation. Lucius Hawes, an experienced truck accident lawyer, is board-certified as a civil trial advocate by the National Board of Legal Specialty Certification and is certified as a civil trial specialist by the Tennessee Commission on Continuing Legal Education and Specialization. For more than three decades, he and our staff have helped truck accident victims secure the money they need to move forward. Truck accident claims are complex and often involve liability on the part of the driver, the truck maintenance company and even the freight loaders. Many lawyers say they handle the cases, then turn them over to a more experienced attorney. Start your case out right. Talk to us first. 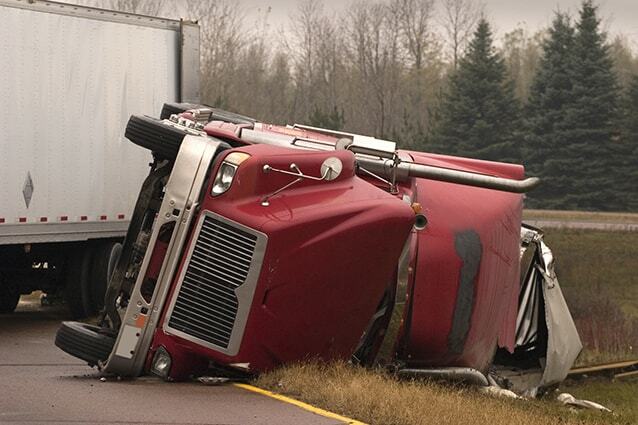 We offer a free consultation and handle all truck accident injury cases on contingency. If we can’t help you collect compensation for your claim, you will not pay attorney fees or reimburse us for case expenses. What makes truck wreck claims unique? Truck companies will move quickly to protect their financial interests after an accident. Their insurance companies often look for ways to blame you. We know the experts to hire to investigate and reconstruct the scene of your accident and assemble the evidence. By knowing what questions to ask right away, we start your case right. Whenever possible, we fight for a full and fair resolution out of court; sometimes, however, a jury trial is necessary, and we don’t hesitate to go to trial when necessary.